Sandtoft is a hamlet in the civil parish of Belton, North Lincolnshire (Where the population is included), England. 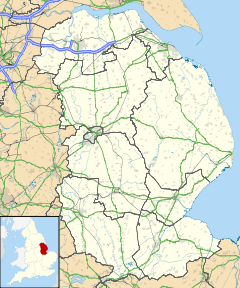 Sandtoft is in Hatfield Chase on the Isle of Axholme, 3 miles (5 km) north-west from Epworth. Sandtoft has a public house, The Reindeer Inn. RAF Sandtoft was an RAF Bomber Command airbase. It opened in April 1944, closed in November 1945 and was sold for civilian uses in 1955. Today part of the site is Sandtoft Airfield and The Trolleybus Museum at Sandtoft, Europe's largest trolleybus museum, is on another part. Pevsner, Nikolaus; Harris, John (1964). Lincolnshire. The Buildings of England. Harmondsworth: Penguin Books. p. 190.